Apparently not only those common helmets, the Stormtrooper helmet also can play music when Shake SurfaceSound portable speaker is mounted on. 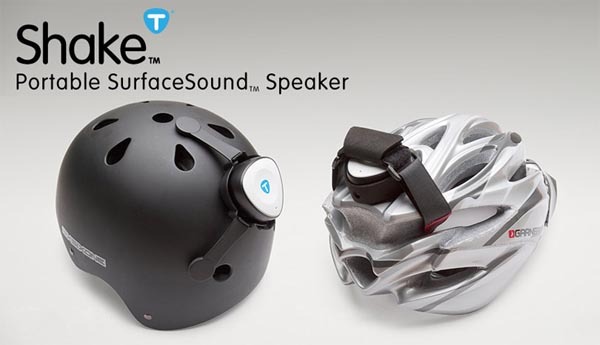 Similar with Vibe, Tunebug Shake portable speaker has an elegant small appearance and SurfaceSound technology which can turn any flat surface into speaker, but it’s designed for the helmet on your head. So the portable speaker ships with a strap and a mount for different helmets. And Shake speaker features two methods of connection including 3.5mm audio jack and wireless bluetooth technology. Apart from that, the built-in rechargeable battery with 450mAh capacity can offer about 5 hours of play time after fully charged. 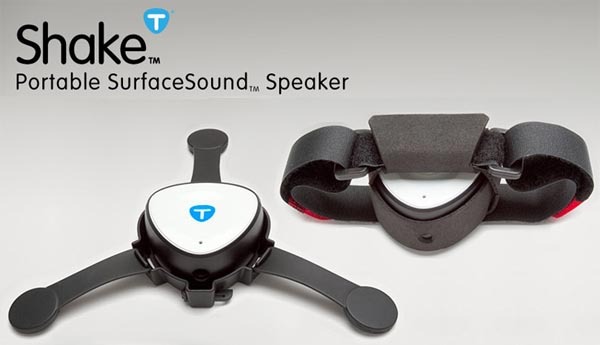 Tunebug Shake portable wireless speaker is priced at $119.95 USD. If you’re interested, the speaker is available at Tunebug. By the way, we’re not sure whether the portable speaker can offer high quality sound when it’s mounted on someone’s shaven head. The following is a video about Tunebug Shake, more videos available at its official site.